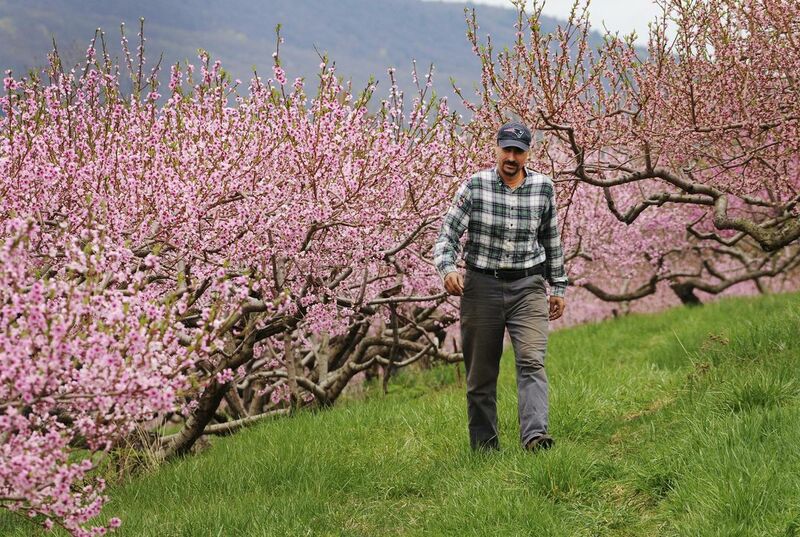 Peach orchards across the region have come alive with pink blossoms. If the weather holds out, it could be a bumper harvest. "Everything just dialed in this year," said Al Caggiano. He is co-owner of Sunny Slope Orchards, in Bridgeton, New Jersey. It is a third-generation family farm with about 500 acres of peach trees. First, the crops in Massachusetts, Connecticut and New York were pretty much wiped out. Growers dubbed it the Valentine's Day Massacre, when temperatures dropped below zero in many areas on Feb. 14. That is unusually cold even by normal winter standards. The low temperature killed the flower buds. 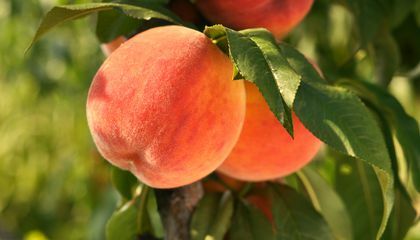 New Jersey is the nation's fourth-largest peach grower behind California (which alone grows nearly three-quarters of the U.S. crop), South Carolina and Georgia. New Jersey grew nearly 22,000 tons (19,958 metric tons) in 2015. The U.S. Department of Agriculture statistics service has predicted just 14,000 tons (12,700 metric tons) grew last year. In Massachusetts, the 2015 peach crop was good. But last year it wasn't even worth counting, Clements said. California is good place for peaches because of its great weather. Growing peaches is a very hard job in fact any crops take a lot of work and patience. This article tells where peaches grow and what climate is best to grow them in.This also tells where they die off as in are spoiled.In my opinion I think peaches should grow somewhere warm or tropical like South Carolina,Georgia,The Keys in Miami,and Virginia places like that.These are some facts I found out in the article.